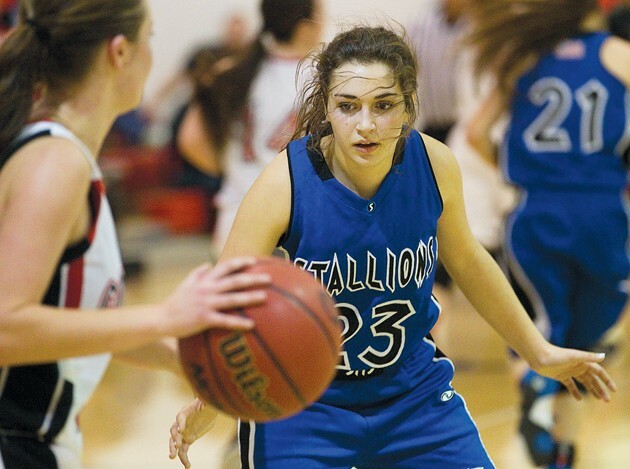 Stansbury’s Angie Kilpack (23) defends Grantsville’s Whitney Castagno earlier this season. 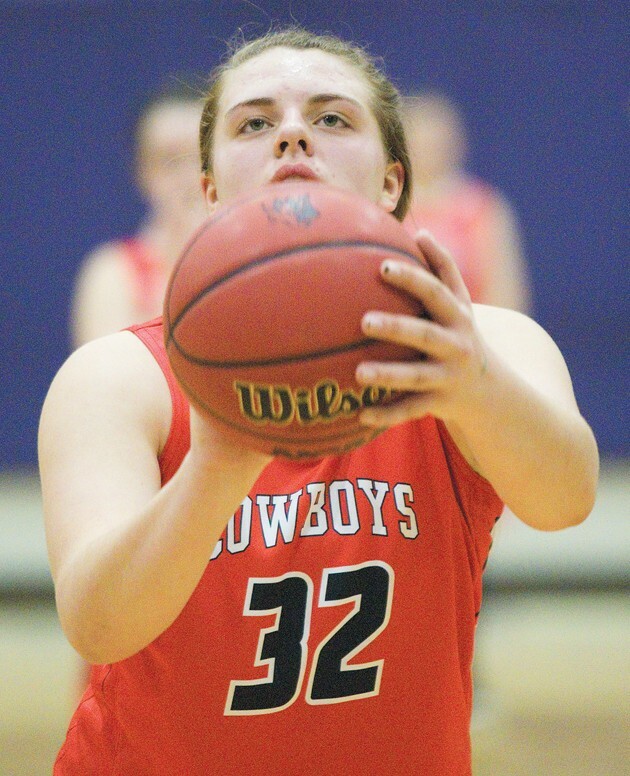 Grantsville’s Abby Butler (32) readies for a free throw during the away rivalry game against Tooele. 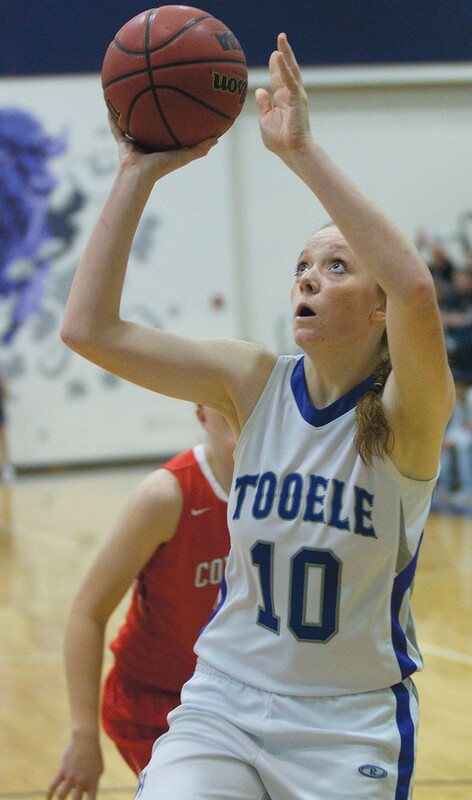 Tooele forward Abby Webber (10) shoots for two in the home game against Grantsville. 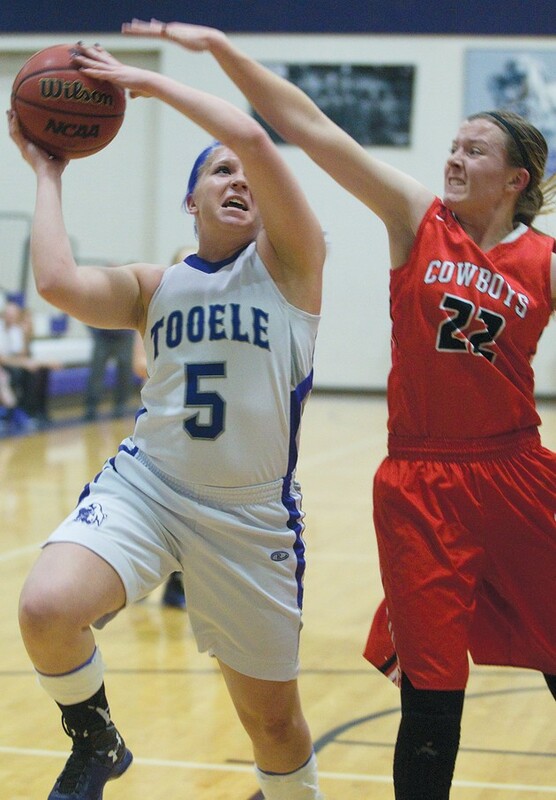 Tooele’s Mackenzie Sharkey (5) shoots through Grantsville forward Brayle Crosman. 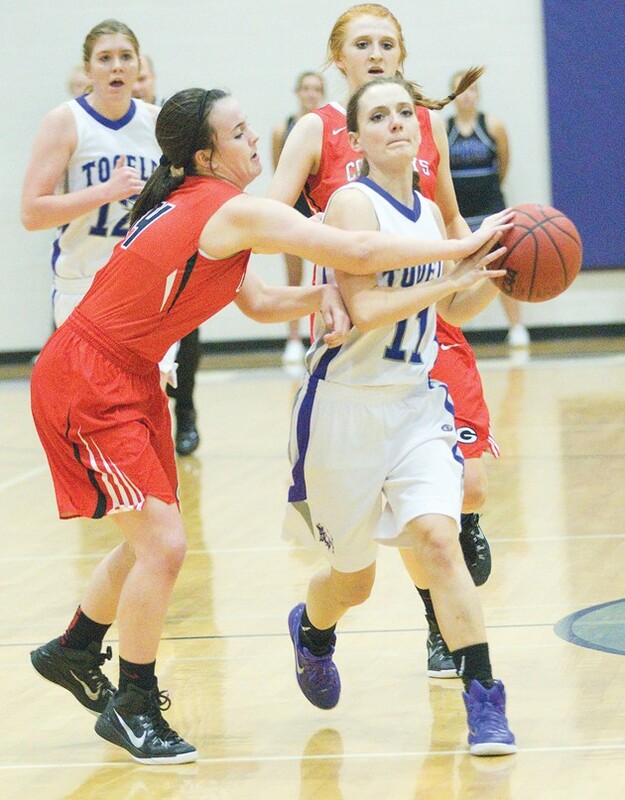 Grantsville’s Megan Cafarelli (14) fights with Tooele’s Miranda Swan (11) for a ball. Stansbury’s Josie Warner (21) dribbles past a Bear River defender. 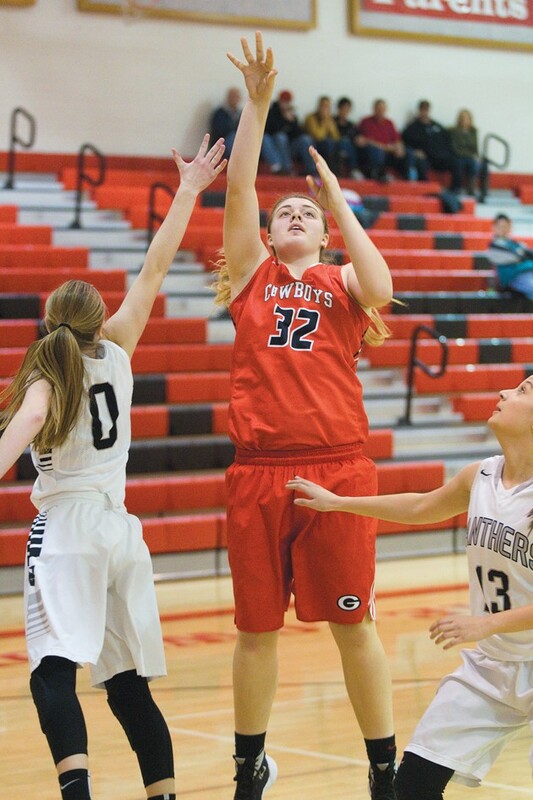 Grantsville junior center Abby Butler (32) scores two. 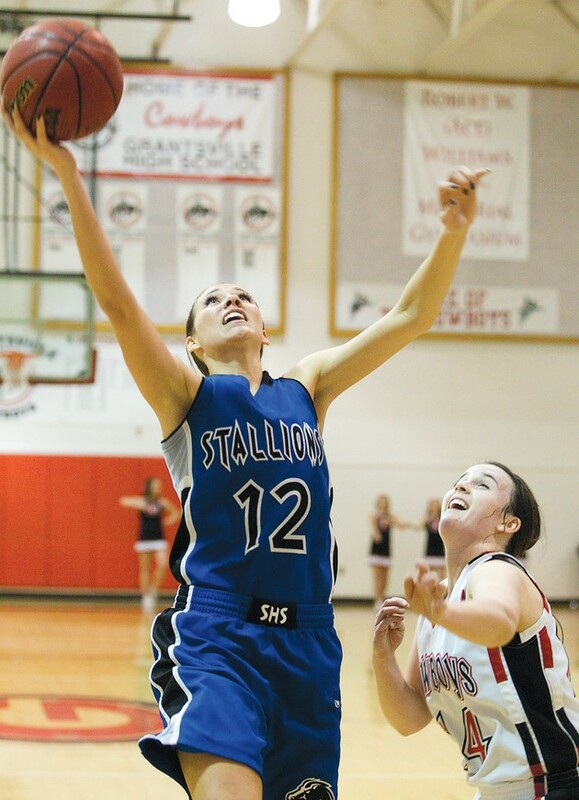 Stansbury’s Katrina Flint (12) puts up a layup during the away game at rival Grantsville. 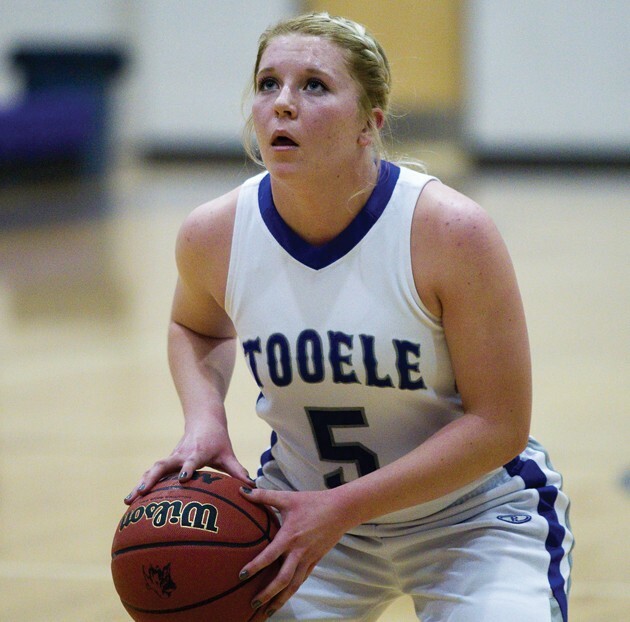 Tooele County girls basketball seems to get more and more competitive every year. Stansbury has played well in Region 10 behind a balanced offensive attack. Seniors Amber Spaulding and Katy Flint provide leadership down low, and junior sharpshooter Deanna Castillo makes teams pay with corner 3-pointers any time she’s left open. Tooele overcame a slow start to the season and grabbed two wins in the first two region games against Grantsville and Park City. 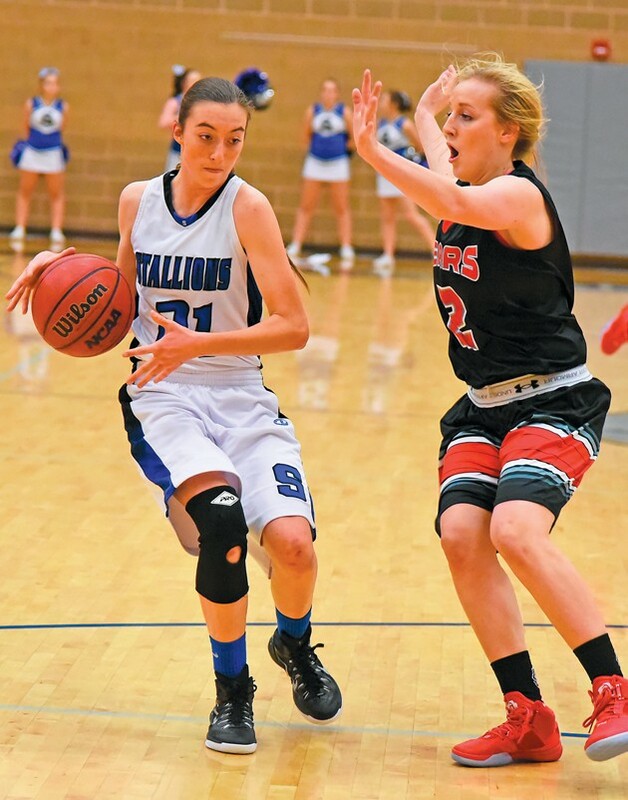 Senior guard Aubrey Vanderwerken has learned how to play her way out of a gimmick defense, and Tom Ware’s team may come out of the season with another state playoff berth. 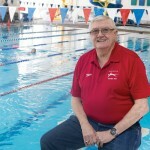 Grantsville has improved leaps and bounds since last year. 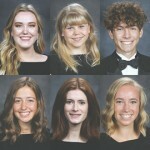 Armed with juniors Abby Butler and Rylie Ekins at the block, and senior guard Megan Cafarelli at the point, the Cowboys beat Tooele for the first time in six years and are looking to break into the state tournament for the second season in a row.